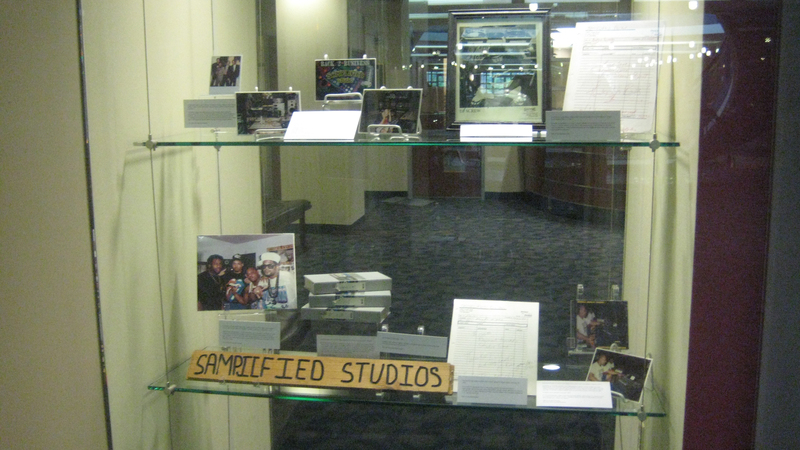 Fans of Houston hip hop who have enjoyed the Library’s main floor exhibit DJ Screw and the Rise of Houston Hip Hop will want to check out our new mini-exhibit Samplified Studios: Capturing the Sound of Houston Hip Hop. This small exhibit is on the 2nd floor of M.D. Anderson Library right next to Special Collections, and contains rare memorabilia from one of Houston’s noted independent recording studios. The exhibit runs through September 21, 2012. Engineer Keenan “Maestro” Mosley, originally from Philadelphia, was born in 1958. He first started a recording studio in Philly, then relocated with his three brothers to Houston. He reopened Samplified Digital Recording Studios in Missouri City around 1990. There he recorded artists such as DJ Screw, K-Rino, Point Blank, BAM, the Terrorists, Klondike Kat, Big 50, and more for over a decade. He also wrote his own music, produced, and kept a detailed audio diary of his life. Mosley, who went by the professional name Keenan Lyles, died in 2010 at the age of fifty-two. This exhibit celebrates the recent acquisition by the Library of the Samplified Digital Recording Studios Records, a collection of master tapes, business documents, photographs, and posters donated by Mosley’s son, Kendall Mosley. For more on Keenan Mosley and his son Kendall, who raps under the name Chane, check out the following articles. A new digital collection, the UH Women’s Studies Living Archives Recordings, is now available in the UH Digital Library. This collection of 49 videos recorded between 1995 and 2009 document the Living Archives series. This series of events, sponsored by the UH Women’s, Gender and Sexuality Studies Program and the Friend’s of Women’s Studies, consist of panel discussions and interviews with topics covering diverse aspects of women’s lives in Houston and the issues that affect them. The videos in this collection cover such topics as women in sports, female politicians, women and religion, motherhood, and breast cancer survival. Among the notable women interviewed are former mayor Kathy Whitmire, women’s activist Nikki Van Hightower, and former city councilwoman Eleanor Tinsley. 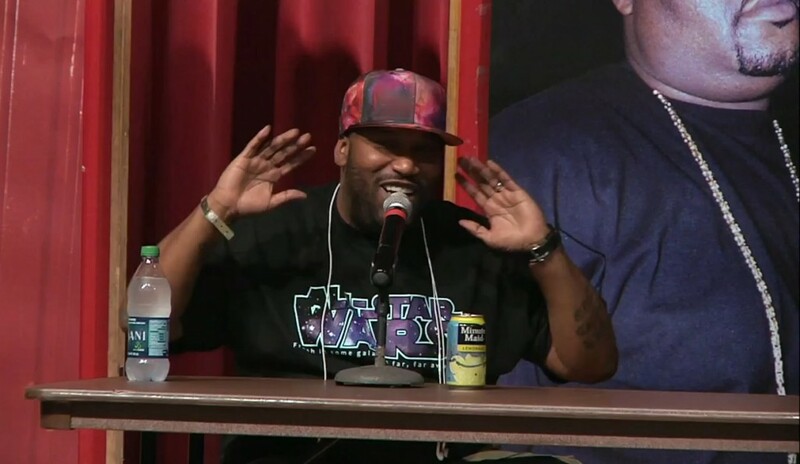 In March, the UH Libraries copresented a day-long conference event called A Screwed Up History during which rap legends like K-Rino, Willie D, Lil’ Keke, ESG, Bun B and more spoke in-depth about the history and culture of Houston hip hop. For those who were not able to attend Awready! The Houston Hip Hop Conference, or those who would like to re-watch the enlightening presentations and frank and funny panel discussions, the UH Libraries has uploaded six hours of footage from the event. The videos are available on the conference web site, on YouTube, and on the DJ Screw… exhibit web page.